We have enjoyed continued growth here at, J. Jervis Accounting Services and with an ever-expanding client portfolio, we thought it was time to transform our website. Although there wasn’t anything particularly wrong with our old website, it didn’t fully represent us as a company. 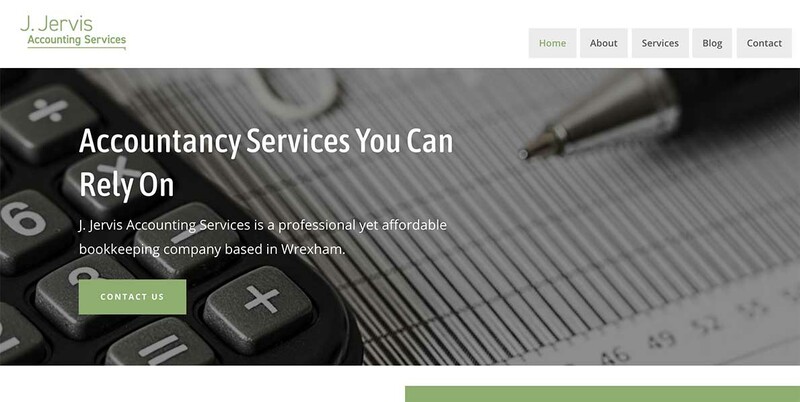 We wanted a website that would portray us for what we are; an approachable and professional accounting and bookkeeping business you can rely on. Due to continuous business growth, we wanted to ensure that our current clients as well as our new clients receive the service, they, and we expect. We wanted the services we provide to be clearer and the information on the site to be easy to find. We also had an idea of how we wanted our new website to look and luckily enough we knew the perfect company to take on this transformation. Codebreak took on the project with complete transparency and initiative. They understood our vision for the new website and achieved it thanks to great communication and their expertise in the industry. As most business owners will understand, letting other people transform the look of your business is a scary prospect but we couldn’t have asked for a better experience. We were always informed and were impressed with the professionality and competency of the whole team. When you visit our new website, you’ll learn about all the services we offer here at, J. Jervis Accounting Services. If you want to know more about a specific service we provide, you can contact us by phone or by submitting a contact form in the footer and we’ll get back to you. Our contact details and the benefits of choosing us for your bookkeeping needs can be seen as well as learning a little bit more about us. The new website functions more easily than our older website and information can be easily seen and accessed. It’s safe to say, we’re happy with our new website and we hope you enjoy it too. Please do have a browse and let us know what you think! If you would like to know more about any of the services listed on our website or simply have a question for us, please call 01691 774 431 or complete the contact form in the footer.